Many of the drawings in my sketchbook are what I might call “dense”—in Marbach I wanted to overcome my fear of ink, so I decided to treat white space as an enemy and refuse to be afraid of adding too much black. This sketch is an exception of sorts in my “new collection,” for it is less heavy-handed than most of the other works. The original line drawing was simple, and little shading was added. 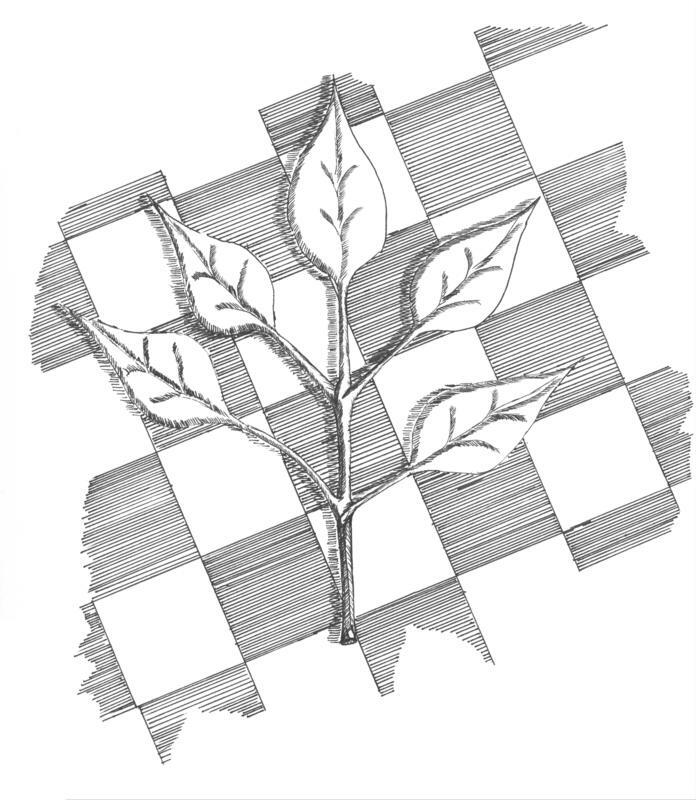 I liked the idea of contrasting the almost idealized leaves with a generic, geometric checkerboard background.